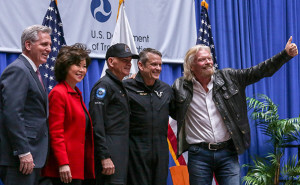 In another historic moment for the commercial spaceflight industry, Virgin Galactic pilots Mark ‘Forger’ Stucky and ‘CJ’ Sturckow, were awarded Commercial Astronaut Wings by the U.S. Department of Transportation Feb. 7 in recognition of the company’s ground-breaking first spaceflight from Mojave Air and Space Port, Calif. CA, on Dec. 13, 2018. The ceremony was held at the U.S. Department of Transportation Headquarters in Washington, D.C., and hosted by U.S. Transportation Secretary Elaine L. Chao. The awards of the Commercial Astronaut Wings, which have been earned on only two previous occasions in 2004, carried the additional significance of marking the first crewed spaceflight from American soil since the Space Shuttle’s final mission in 2011. Virgin Galactic’s Dec. 13 test flight saw Forger become the 568th human in space and, along with CJ, the first humans to reach space in a vehicle built for commercial passenger service. CJ now also becomes the first astronaut to hold both commercial space and Naval Aviator Wings, having flown as a pilot on four NASA Space Shuttle missions to the ISS. 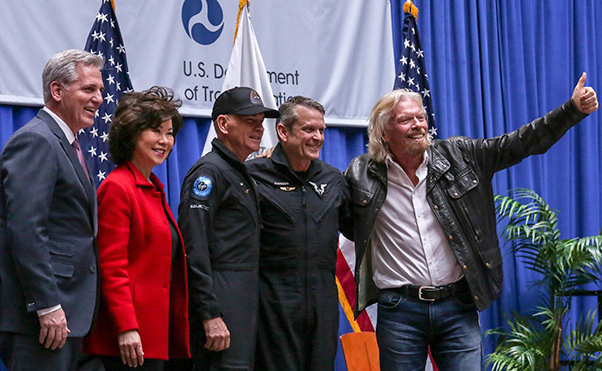 December’s spaceflight was the latest and most significant achievement in the Virgin Galactic flight test program. 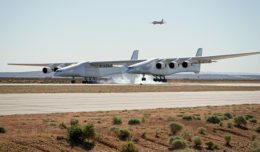 The company is now preparing for further test flights as it moves steadily towards a full commercial passenger service from Spaceport America, N.M.